Sports clubs face tough competition both on and off the field. Behind the tough sports matches lies the ongoing competition to grow your fanbase and generate support for your sporting club or event. This is particularly difficult when you’re the organizer of a sports event that might occur once or twice per year, like a two-day competition, festival or one-off sporting event. How can you keep your audience engaged and grow your fanbase when there’s almost an entire year between each edition of your event? Marketing an annual event, or one that only occurs a few times a year, can be difficult. 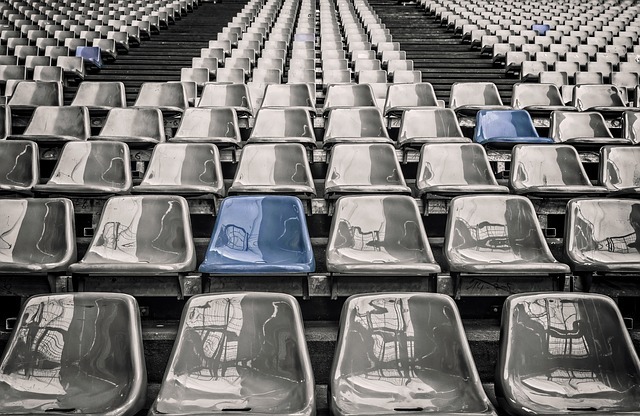 Luckily, there are a number of sports event marketing strategies you can use to attract more fans to your spectacles, even if they don’t happen that often. We’ve put together a guide for how to market your sports event. The best moment to market your event might well be when it’s at its peak. 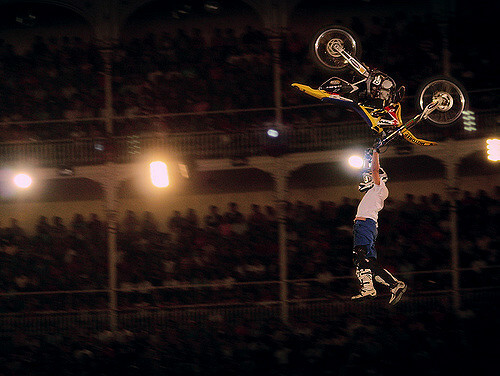 Image source: RedBullXFighters 25, by Guzmán Lozano. What better time to sell tickets to fans than in the very moment they’re getting the full experience and emotions are running high? Try to take advantage of that fan excitement by offering them the chance to snap up tickets for your next event at a special price if they buy their ticket for next year on the day. Consider either giving attendees a price discount or rewarding them for their loyalty with a special treat alongside their purchase. For example, every fan that buys a ticket for the next event edition gets a cool piece of merchandise thrown in free of charge. This tactic has another benefit in that these attendees will become automatic free promoters of your event brand as they rock their new fashion items and are already committed to attending the next edition. While you could ask for feedback following the event, it’s much more effective on the big day as you’ll get a higher response rate. By asking your attendees at your event how they’re finding the event, whether they’ve had any negative experiences, and how you could improve next time, you gain vital data about how to keep improving year on year. If your event doesn’t occur that often, each one needs to be a step up from the last and you’ll only achieve this by staying in touch with your fans: what they want, the kind of experience they’re expecting and how they expect it to grow year on year. By surveying and gathering feedback at the event, you demonstrate on the spot that you care about your customers’ opinion. Finally, make sure to reward them for their raising their voice through incentives like a free drink, a food voucher, or a discount on their next booking for your event. Fans posting about your event gives you free promotion. At your event, be sure to leverage social media to track the live voice of your fans. This will give you insights into how well your sports event is resonating with the audience, and which elements appeal to them in particular. Make sure at least one person on your team is dedicated to social media on the day so you can respond to any complaints, queries and problems in real-time. Buzz generated on social media on the day of the event is hugely important. Fans posting about your event gives you free promotion and content, and spreads the word about your event. This can be used to reach out to new audiences for next week. Take for instance Google and EA Sports’ partnership for the NFL to create an interactive platform called GIFERNATOR which allowed fans to select fragments of the live games to turn into GIFs and combine them with text to share on social media, leading to an explosion of online content about the event. To capitalise on fan-generated social media content, be sure to merge social media and on-site activities to encourage people to engage. For instance, try running competitions or fun activities where fans can win prizes if they share their pictures, videos etc under a specific hashtag on their social media channels. That way their friends will see and hear about your event and might want to join the fun next time. If your event only takes place once a year, it needs to make an impact and stick in fans’ minds long after the day has passed. When up against competition from a number of other sports events, the key to staying memorable a year later is to make fans experiences of your event unique. One way to do this is by using the power of technology to put your event ahead of the rest. For instance, take UK football club Manchester City’s recent foray into VR, giving fans the opportunity to watch them play their rivals Arsenal through VR headsets in Melbourne and New York even though the game took place in Manchester. This innovative way of connecting with fans has led to more powerful connections between fans and their club, and will remain in their minds despite not being a regular event. Unique and creative campaigns can also help make a lasting impression thanks to new technology. Hertha Berlin are offering one lucky fan a lifetime season ticket… but in the unique format of a QR code on their arm! A little extreme perhaps, but a different approach that’s gained a lot of attention on social media and uses modern technology to build a buzz. 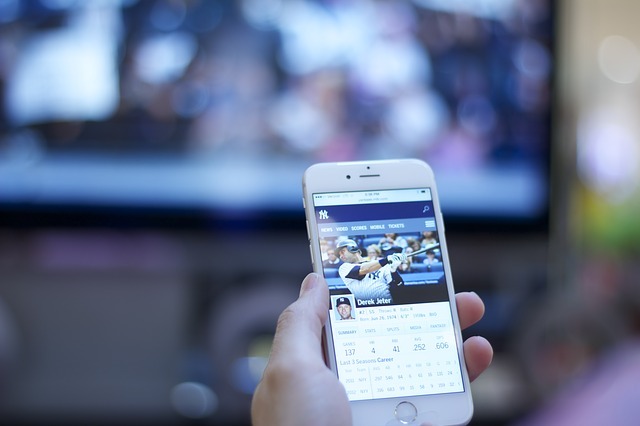 Increasingly, sports events like athletics tournaments are using technology to deliver live data insights and statistics to fans during the event, to form a multi-dimensional customer experience they won’t forget. When looking for ways to increase buzz around your event, create positive and surprising fan experiences, technology could be the answer to making your sports event stand out from the crowd. If you sit back and relax, your next event will look this empty stadium. The biggest mistake you can make when marketing annual or occasional sports events is to go quiet. Think you can sit back and relax after your event is over, because you’ve got months to go until the next one? Think again. You need to be using every part of the ‘low’ months in between your event to work to grow your fanbase and build your marketing strategy ahead of your next event. This time is extremely valuable for your marketing efforts so be sure to use it to your advantage to make your event bigger and better each time. Growing your fanbase and retaining past attendees are two different strategies, so make sure to differentiate between those two efforts in your tactics. Whether you send a newsletter, early-bird sign-up forms and other promotions, keep in mind that your past fans already know you, lived the emotions with you and have established a connection to your event. This means they should obviously be addressed in a way that’s different to completely new customers! Whilst blogging in between your events, be sure to define which posts are aimed at existing customers and which are trying to attract new ones, and adjust your tone and content accordingly. By making your communications with different segments of target customers tailor-made and specific, customers will feel special and will be more likely to respond to bespoke experiences than blanket communication. Growing new relationships, be they with sponsors, collaborators, media partners, influencers or team members takes time. The months in between your events are the perfect opportunity to nurture potential new partnerships which will help take your event to the next level. Identify potential matches, refine your offering to potential sponsors or collaborators and develop a relationship over time with the aim to bringing them on board for your next event to make fans’ experiences even more exciting next time around. If you’re running a 3-day Volleyball Festival in the summer months, why not host a one-day competition in February to ‘get the ball rolling’ early in the year? Though your main event might only happen once a year, there’s no reason you shouldn’t promote it via smaller-scale ‘launch’ events in between. 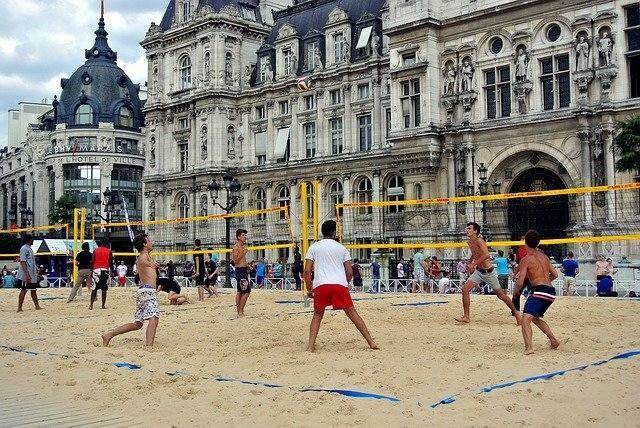 If you’re running a 3-day Volleyball Festival in the summer months, why not host a one-day competition and party to launch the festival in February to ‘get the ball rolling’ early in the year? Carefully planned and timed launch events can give audiences a taste of what’s to come in your main event, and help to build momentum and stay in your audience’s minds. It will give you content and material for your social media channels and also allow you to trial certain ideas for your main event on a smaller scale. In preparation for your sports event, in order to strengthen your marketing efforts, leverage technology to develop a more effective strategy. For instance, a ticket distribution system can help provide you with valuable data insights about sales and customer behaviour, so you can make better, data-driven decisions which reflect the way your audience purchase tickets and interact with your sports event. A solution with CRM capabilities could help you to expand your understanding of your audience, build fan profiles so you can better target those that might be interested in your sports event with personalized messages. Technology such as ticket distribution systems can help make your marketing better informed and more customer-centric, and could provide the competitive edge against your rival events. Marketing an event that only occurs a few times a year might seem like a challenge. 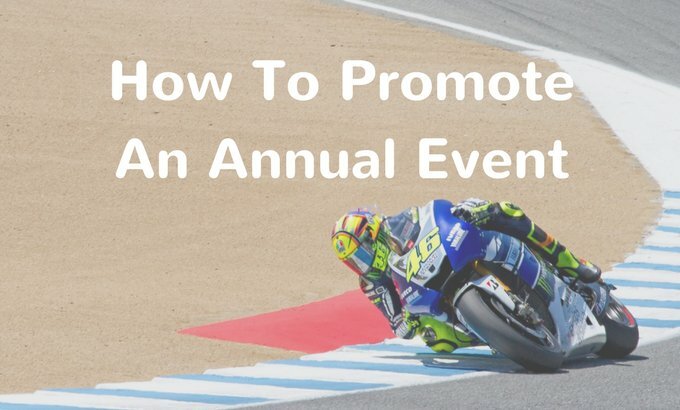 By following this two-part step-by-step guide for successful sports event marketing, you can make the most of the time periods in between your event and the event itself to ensure each one is bigger and better than the last, audiences stay interested and ticket sales keep on rising even when there are time gaps between events. Check out how Onebox’s powerful centralized ticket distribution system could help boost your sport event sales today. Also one of the ways to be able to get more people to event spots events is to host some smaller events throughout the rest of the year to serve as a ‘teaser’ when it comes to promoting the main event that you’d be having near the end of the year. It helps to pique interest to the main event itself and can potentially get you more viewers, especially if it’s a seasonal-tied event like beach volleyball. If I had the chance to try a sport at a major venue I’d make sure not to make a fool out of myself when I do try it because I’m a klutz and I tend to mess up serving the volleyball!